Billed as the “most intelligent luxury sedan", Mercedes-Benz's 10th generation E-Class saloon sets to rewrite the benchmark in its class with its emotive design, high-grade interior, as well as its technical innovations. Built on Benz’s modular MRA platform that also underpins the latest C-Class and S-Class models, it grows 65mm at its wheelbase and 43mm in overall length. Despite the larger body, the new car is lighter than its predecessor. 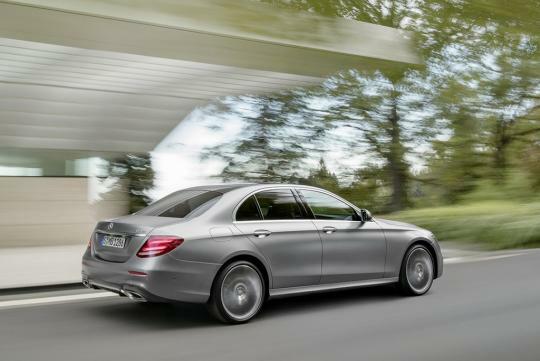 Displaying the hallmark Mercedes-Benz saloon proportions, will debut a number of high-tech comfort and safety features. Some of its cooler features include the touch-sensitive control buttons ('Touch Controls') on the steering wheel and the LED ambient lighting with 64 colour options. Mimicking BMW's 7 Series, it has an optional Remote Parking Pilot system that allows the vehicle to be moved into and out of parking spaces remotely using a smartphone app too. 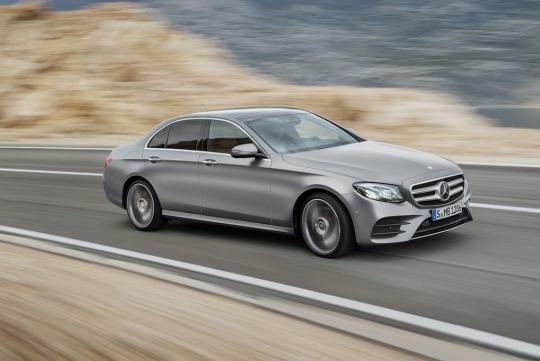 Powering the new E-Class will be a choice of two engines at market launch: the E200 with a four-cylinder petrol engine (184bhp) and the E220d with an all new four-cylinder diesel engine (195bhp). 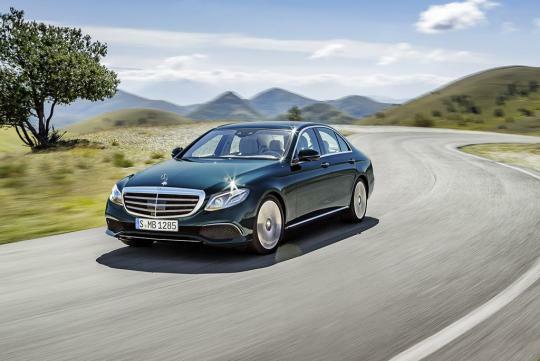 Other powertrains that will arrive in the future will include the E350e with a four-cylinder petrol engine (279bhp) featuring hybrid technology and the E400 4MATIC will represent the first step into the six-cylinder petrol engine ladder. Now, the C, E and S class all look alike, like clones. No differentiation. What is C , E and S Class ? Only the S Class owners will be sad. If you are buying the C or E class, then will be happy. Cos you will get a product that looks just as good, but cost half the price!